762 Bellair Rd, SP Chetty, 1918-32. This group of temples was first constructed in 1918 and is still actively attended by devotees. The original wood-and-iron Gengaimman temple was built among mango trees, and has since been walled off from the adjacent uMkumbaan River. Note how the use of industrial materials illustrates the scope for versatility in interpreting Hindu architecture. 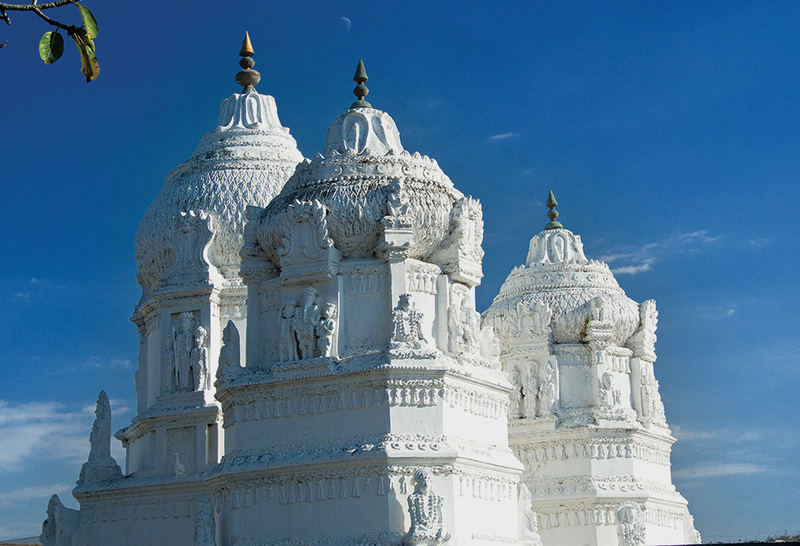 The main temple, which is painted white, was built in 1932 by SP Chetty, its three towers skilfully sculpted in low relief in order to integrate the deities into the structure. The design is enhanced by the use of contrasting plain surfaces and reflected light.